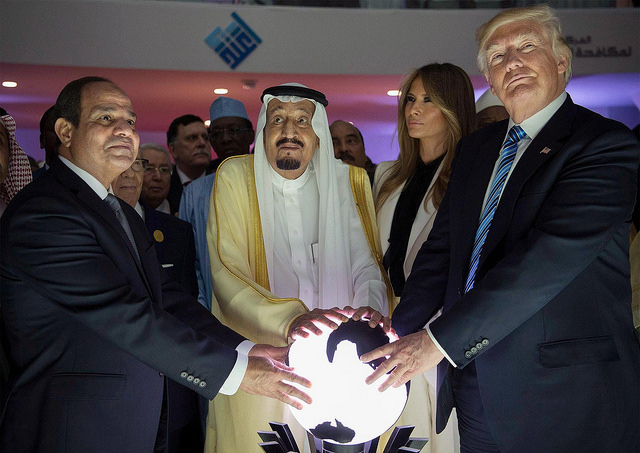 President Trump visits Saudi Arabia on May 21, 2017. It was his first foreign trip as president and the first time a US president visited Saudi Arabia as the first stop abroad. Rogelio A. Galaviz C.
Mark Landler White House correspondent, The New York Times; author of "Alter Egos: Hillary Clinton, Barack Obama, and the Twilight Struggle Over American Power"